How do you get fit or stay fit when the weather outside is frightful and you can’t get outside to run, bike, hike or engage in other fun fitness activities? Cold, wet weather can make it challenging to meet your health and fitness goals – especially if they’ve gone according to plan all through the warmer months and are hitting a snag now that it’s cold out. One great way to combat this problem is to take your workout inside at a pay-as-you-go gym. At a pay-as-you-go gym, there’s no long-term commitment required in order to use facilities or even take classes. Such gyms offer the benefits of a traditional fitness center without monthly or annual fees – and if you’re already interested, you can click here to learn more specifics about how these new excellent gym options work! Pay-as-you-go provides a no-risk option for people who can’t make it to the gym on a regular basis. You pay only when you go and only for the services that you use. These types of fitness centers are the perfect solution for people who prefer to exercise outdoors but want an option for indoor exercise when the weather is uncooperative. When you can’t get outside to exercise, a group fitness class is good change of pace. Change up your routine and sweat with your friends or make some new workout buddies. At the pay-as-you-go gym, guests have the choice to pay for classes individually or purchase a flexible pass for a set number of classes. This plan gives patrons the choice to take as many or as few classes a week as desired while only paying for the ones attended. If your typical workout consists primarily of running or other outdoor cardio, cold weather months offer an opportunity to get indoors and increase your strength training. Strength training is an integral part of a well-rounded fitness program. A pay-as-you-go gym can provide the perfect option if you’re trying out strength training for the first time and don’t want to invest in expensive equipment for your home. The winter months are a good time to set new fitness goals. 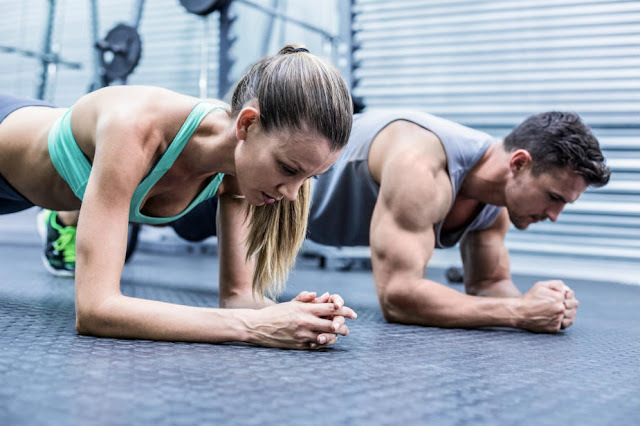 Sessions with a personal trainer can help you reset your goals and your routine. A positive and enthusiastic trainer can enhance your workout and help you achieve new heights in your fitness abilities. At a pay-as-you-go gym you have the option to schedule the number of sessions you choose and only pay for those sessions. When the cold weather hits, a pay-as-you-go gym can help you keep your fitness on track. These gyms offer the same highly-qualified, helpful staff, equipment and classes you would find at a traditional gym, without having to sign a contract or pay for unwanted days or services. When the weather is beautiful, take advantage and exercise outdoors. When the weather is cold and dreary, pay for a session or pay for the day! With no long-term obligations, pay-as-you-go gives you the best of both worlds when it comes to exercise!